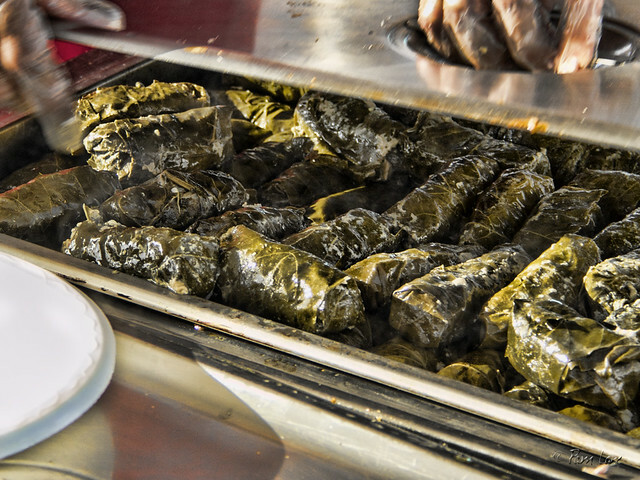 This weekend was the annual Greek Food Festival at the St. George Greek Orthodox Church. 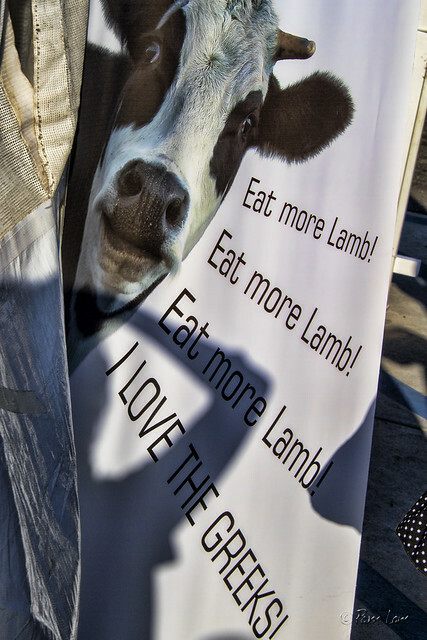 It's called a "food festival" for a good reason! 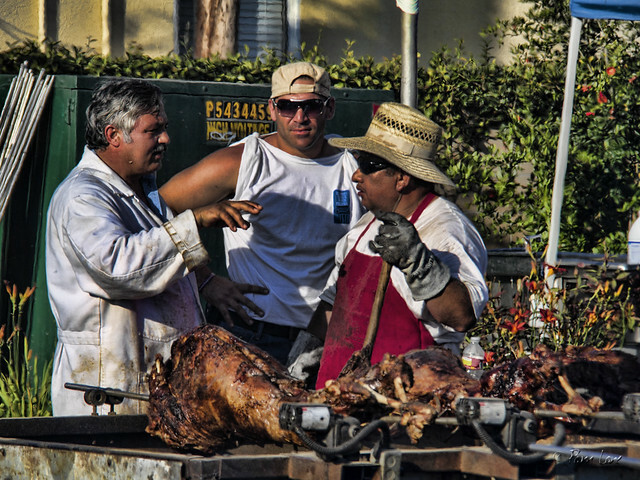 To start with, there's row after row of spit-roasted lamb, with a whole crew busy tending to the spits. Then to go with the roasted lamb, you can get stuffed grape leaves (dolmathakia), souvlaki, gyros, moussaka, and baklava for dessert. There was also a friendly message from your neighborhood cow.